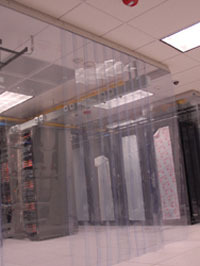 Wall Panels - Used to create airflow barriers above equipment racks or between racks. 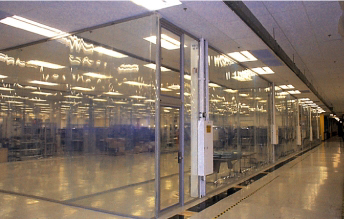 Strip Doors - Used to create airflow barriers at ends of equipment aisles or other areas where access through the barrier is required. 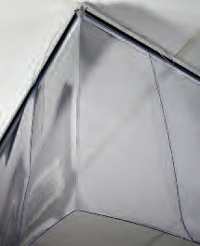 Also used in narrow width applications instead of curtain panels. 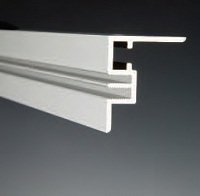 Molded Curtain Corners - Used to create a better airflow seal between perpendicular curtain runs. For configuration and installation details, be sure to read Data Clean's Guide to Aisle Containment.